We've seen Golden Globes, People's Choice, Grammys, SAG Awards, MTV, Tonys and of course, the Academy Awards. 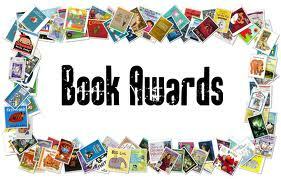 It's also time to hand out trophies to mystery authors with the Edgars and the Agathas. Will a cozy--or as I like to say, a gentle mystery--win awards? Well, yes for "best first" at the Agathas, but that's about it. What does thrill me is the consistent and amazing success of cozy mysteries, The latest NY Times Bestseller list for mass market paperbacks is LOADED with cozies. I am so thrilled for my fellow authors. We are selling books, we are reaching people and I have an idea why. We bring social issues to light in ways that are relate-able. We also know how to make people laugh. (Notice how "funny" movies don't win awards, either?) We don't think violence and profanity need as much time on the page as the time such things receive in the news. We respect our readers will understand what's "between the lines." We make them think about solving the mystery if they so choose, or they can just go along for the ride. Vampires and zombies come and go, but ever since the Agatha Christie era, in one form or another, the cozy mystery has remained consistently popular. Does that mean the books that gather in all the awards aren't worthy? Certainly not. There are books out there for everyone. That's what's so amazing and wonderful. But are they "better" than a good cozy? Some folks may think so, but I don't believe that. Why? Because we all have books we love that others do not. And that, my friends, is a beautiful thing. What are your thoughts on this topic and on awards in general? I'd love to hear your opinions! As my mom would say, "I've got a scathingly brilliant idea". 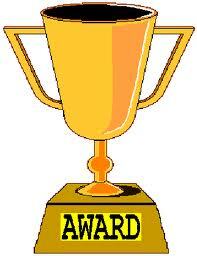 I have noticed that cozies don't get many awards, yet they have legions of fans. 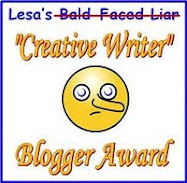 I just started my own cozy mystery blog and I propose to start my own cozy award! Since I just read this post and just came up with the idea, I have no details. Also I'm just starting out and don't have a huge following, yet, and it won't have the prestige of those notable awards-but it'll be something! Thanks for the idea! A new cozy blog Katreader? What is the url? I always think those awards are bogus, chosen by just a few people using their personal taste. I think the sales figures speak hard enough for what the greater audience thinks, be they movies or books or music. I have come across a few people lately, who had never heard of "cozy mysteries" before, but they had been reading them for years. I love my cozy mysteries though my reading time is very difficult to come by. They should win as many awards as other mysteries. I'd rather see cozies hit the New York Times List than garner a bunch of rewards. You can't take a trophy to the bank and the cozy readers prove, time and time again, that they love and support cozies. I'm not sure if there's a more loyal reader fan base in existence! If there's was a Reader's Choice Awards, then the cozies would be all over the place, right? LOL! To me a cozy mystery is an escape to a place that is restful with people (after the first book in the series)who are friends and make me feel welcome. I never have to close my ears when people are speaking or cover my eyes to keep from seeing all the blood and gore. Thankfully there is no profanity, gross stuff or x rated scenes. For that I say thank you to all you cozy mystery writers. To me you will always be the big winner and I will continue to talk about all your books as long as I have a voice. @Aurian and anyone else who's interested: my cozy blog is Cozy Up With Kathy http://cozyupwithkathy.blogspot.com/ I also have a corresponding Facebook page. I only post on Sundays and Wednesdays (I know how hard it is to keep up with all the great blogs). 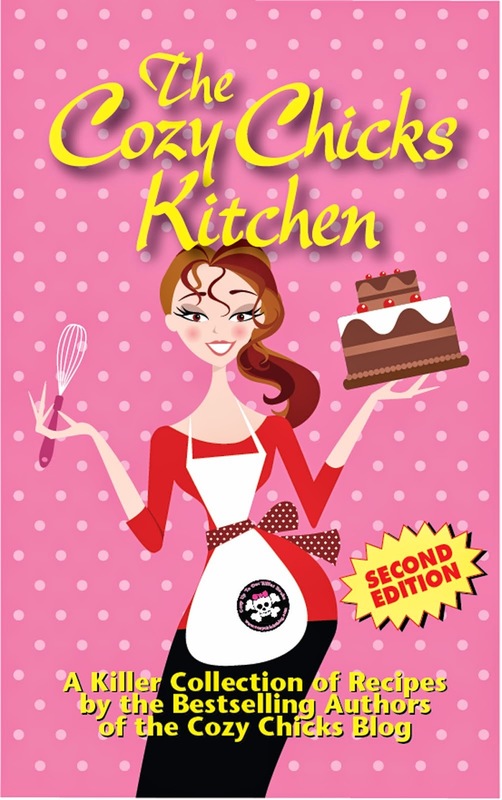 Please check out my first interview with Cozy Chick herself Lorraine Bartlett! While I've done a series review, today I posted my first book review. 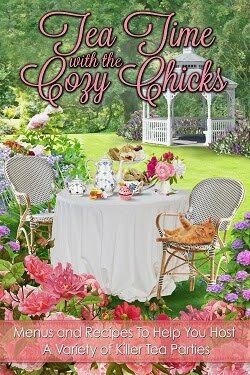 Cozy mysteries are like friends you can't wait to visit and know you'll have a good time. It's the relationship that exists between the pages and me, the reader and the puzzle of solving the crime that is very enjoyable and what I come to appreciate when I'm reading a cozy. I give my thanks to the writers because their stories continually entertain me. Katreader, I love your website and have liked your FB page. I have determined that what I like, for instance cozy mysteries, are not what the important people tell me I should like. Evidently my choices do not fit into what intelligent people consider the really good stuff. But, that is OK. I am not the only person who enjoys a cozy mystery. I am a book buyer. And in the long run, I reckon authors like those awards too. We who buy cozies, can only provide accolades through our purchases. For me, Annette, that's a GREAT AWARD!! THANK YOU!! I fell in love with Cozies a little over a year ago. I have always loved mysteries and have found the Cozies allow you to recommend them to anyone without worrying about bad language or anything else that not everyone would like. In fact, my local bookstore owner and I now recommend different books to each other. Hopefully, others will discover some in her store and love them also. So glad you have a bookstore owner to chat with about books, Rachelle. So many smaller bookstores are gone thanks to the chains and online stores. I have found that I rarely agree with the books that are awarded the prizes. This goes for movies as well. I simple read and watch what I like and don't bother with what the critics say. I am so happy to see many of my favorite writers make the NY Times Bestseller list. The cozy authors are a group of great writers who are creative, entertaining, and know how to spin a good story! I've been reading cozies for over 5 years now and the collection keeps growing. I'm that much of a cozy lover that I keep a log to track my cozies. I enjoy the cozies so much because there's a wonderful and balanced mix of humor, murder, and romance. I love "feeling" for the characters. Thanks D Mess! and thanks to everyone who left such kind and understanding comments. You people get it!! YAY! 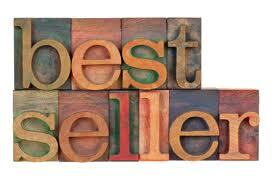 I love cozies and would rather that you all make the best seller lists than win awards. Of course, both would be awesome and I think you deserve it. I too have noticed SO many cozies out there for readers. It's great because each author has a unique voice and spin on the cozy setting...fun, fun reads! OMW! I just counted how many cozy series I own. Some of them I may only have one or two of the books in the series and others I have them all, and some are by the same author (some using the same name and some using a different one), but I love them all! (and I actually do re-read them, too! DRUMROLL....50 different cozy series on my bookshelves! WOW! I sometimes wonder if Agatha Chrisite's Miss Marple series would be considered a cozy mystery series today. Not bad company to be with!! Love your books and I miss the Yellow Rose series since I'm an adoptee and adopted a set of twins. Looking forward to your next book! !